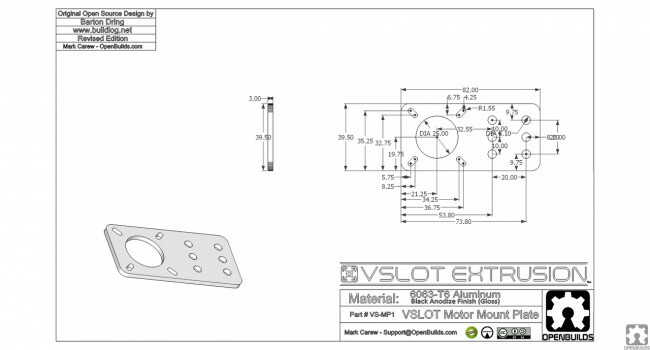 This is the Motor Mount Plate for Nema 17. 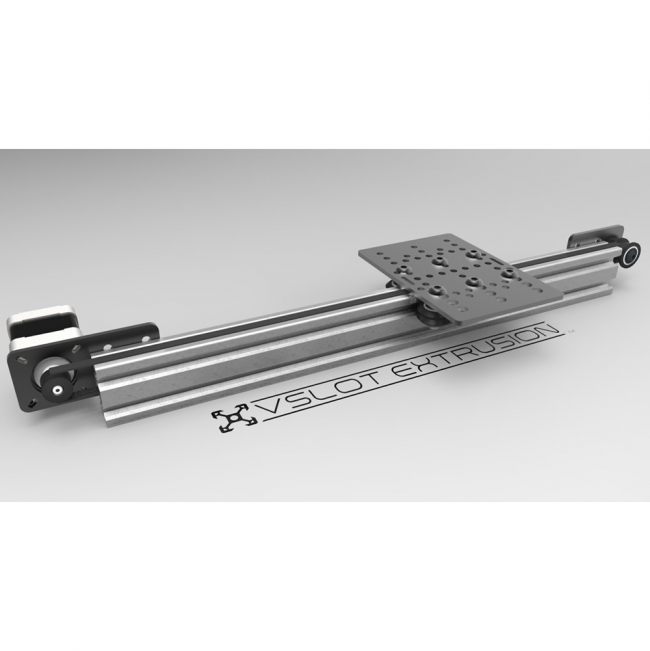 It can be used with both V-Slot and OpenRail. 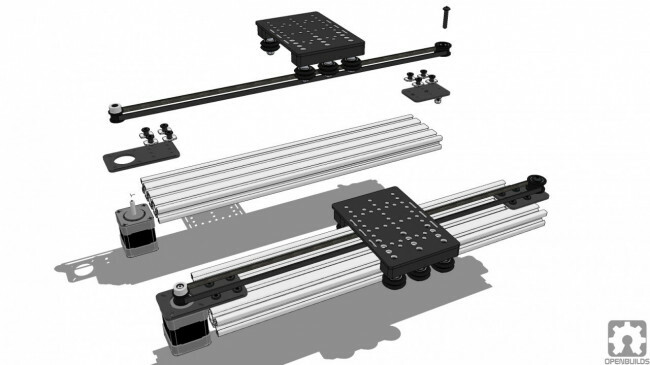 The idea behind this plate is to give you a mountable yet movable plate for your Nema 14 & Nema 17 Stepper Motors. 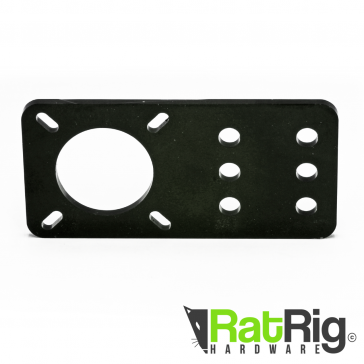 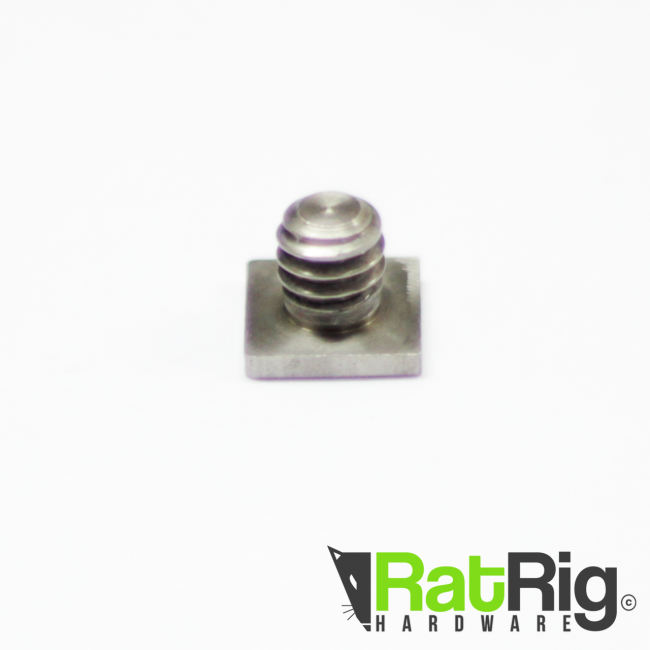 This works great as it allows you to easily mount your motor anywhere on the extrusion.